Freshness Worth Celebrating. Fitted with advanced sensor technology you can save up to 50% in time, water and energy while still achieving fantastic results. Tailor-Made Freshness: The ChillerCase offers ideal conditions for food like fresh fish and meat by storing them separately and at the perfect temperature. Vitamin LED simulates sunlight to keep your food as fresh as possible and whats more, HygieneAir keeps harmful bacteria away from your food, ensuring long lasting freshness. Pluss, thanks to flashFreeze technology your food will be just as delicious even after defrosting. Looks Good, Keeps Quiet And Fits Perfectly. Panasonic tehnologies get you more than you expect. 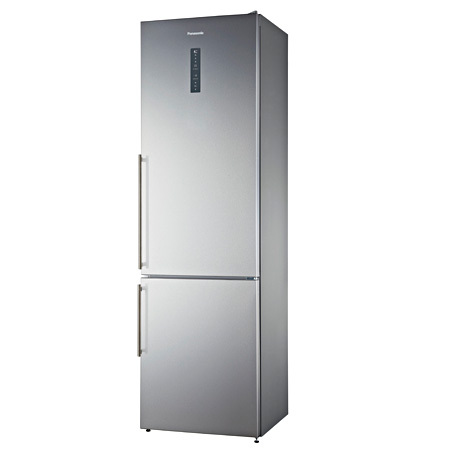 This fridge is designed to always look its best, keep food fresh and stay quiet.